Vegetated Architecture (aka Veg.itecture, VegArch, Building/Landscape Fusion) is a common theme on L+U. The working definition of this fusion of architecture and landscape has been swirling around in the back of my brain for some time, and I thought it appropriate to give some further definition of what this is. 1. 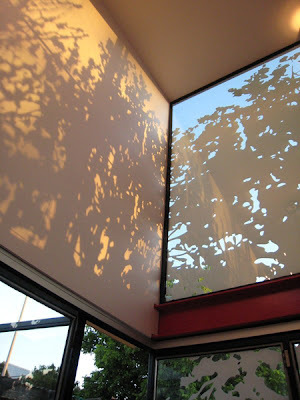 Using vegetation as a primary component of the building skin and roof systems. 2. Creating usable site area in urban development by implementing landscaping on structure. 3. Blurring the lines between interior and exterior spaces through design. 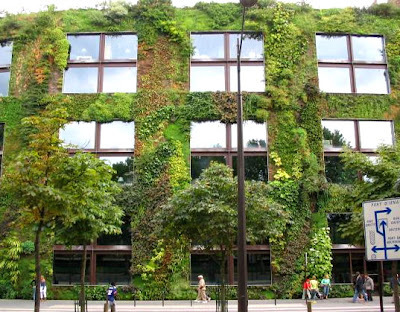 One notable form of Vegetated Architecture is 'facade articulation'. 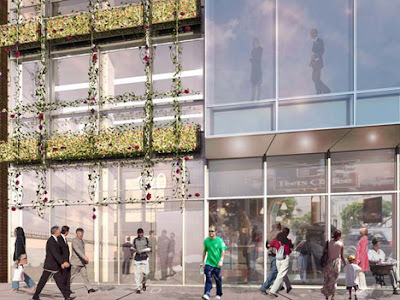 This goes beyond merely attaching panels of green screen with vines, to integrating vegetation into the entire building form, as a aesthetic strategy, but also to provide microclimatic cooling and seasonal variation. The vegetated form becomes another material for building skin. 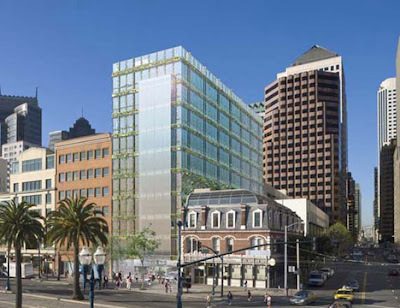 The proposed 110 Embarcadero Building in San Francisco, featured on the always fantastic Jetson Green, is a fine example of this step towards integration. A varient of above is the more intensive method of 'roof greening', strategies that incorporate facade and rooftop with vegetation that is visible from the street in other ways as well as providing amenity space for users. Not as much visual amenity as functional (although it can be both) is the idea of 'roof gardening'. 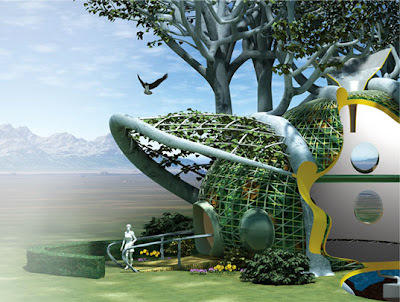 Folding in aspects of urban agriculture for expanded food production in the urban realm. A 2007 ASLA award-winner for affordable housing in San Francisco, by Andrea Cochran LA, named the Curran House, is a good example. 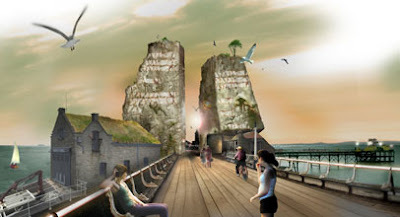 The work of Patrick Blanc outlines another strategy, that of 'vertical gardens'. Rather than articulation of a buildings facade or wall area, the vegetation becomes the primary skin material. There has been much adoration of this technique, and you can see why. The 'vertical filter' concept is a feature of vertical gardens that is applicable indoors and out. Indoors a growing body of stunning interior landscapes provide environmental and air quality benefits alongside the obvious aesthetic gains. Another form of Vegetated Architecture is 'site insertion'. 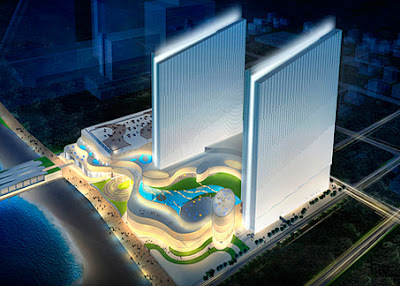 This new casino proposal in New Jersey, found on Places and Spaces, highlights a version of vegetated architecture in it's sinous swoopy rooftop gardens. The gardens are not ancillary spaces tacked onto the building, but rather are meshed into the overall structure, being viewed from pedestrian level, as well as from above - and creating site context in urban areas. The vegetative function as 'microclimatic modifiers' using plants is a final strategy, previously discussed in relation to Net-Zero Homes. 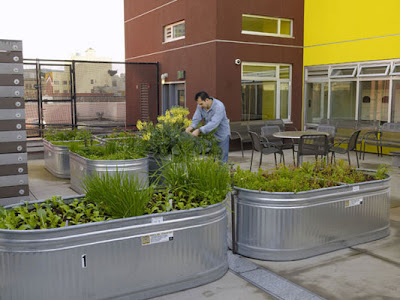 Simply in means using plantings on site, adjacent to buildings, to provide and expand environmental controls for the building, such as reducing solar gain in summer, and allowing sunlight to penetrate for heat gain in winter. Another strategy involves using evergreens or buffers to mitigate prevailing winds. In summary, there are specific goals for Vegetated Architecture that range from the environmental to the aesthetic, with most projects finding a place somewhere along this continuum. In addition, a typology of forms has begun to evolve, with specific strategies emerging from this work. This include facade articulation, roof greening & gardening, vertical gardens & filters, site insertion, microclimate modifiers and abstraction of natural forms. In total, i'd say we're on the verge of a movement, and I could not be more excited to see the future. Thanks, Jason. This is a brilliant collection. It's time that the idea of 'landscape as a decorative last step in the design process' finally ends and makes way for a more sustainable and fulfilling view of 'building healthy holistic human habitat on all scales'. We need to push harder and harder in this direction of overall collaboration between inside vs. outside, large-scale vs. small-scale, building vs. landscape, private land vs. bio-regional health. Thank you Jason. I highly appreciate your efforts for making VEGITECTURE a reality for future. I am a student of architecture from delhi, writing a paper on similar notions for my dissertation.Currently, not very satisfied with the way so called "architects" mature in my country,(havnt come across many outside india)...in terms of their knowledge in the field of landscape. 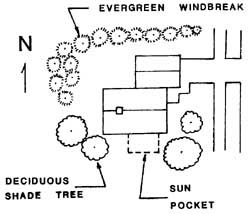 i think it should be made mandatory for all of us to include the learning of fusion of the building and landscape,specially in this alrming era of global warming. I am encouraged even more after going through all your examples, and thanks again for bringing the word vegitecture in my dictionary. kushal. the definitely goal is that we all become less compartmentalized and start to blur the lines between landscape and architecture - as well as the lines between how we generate these types of projects. I'm glad the concept of vegitecture was inspiring to you in making that happen. Thank you for your time sir,...but i also analysed the difference in intentions behind landscaping between the eastern countries and the western giants.Countries like Japan are far more sensitive i believe in respecting nature and the surrounding context in any architectural project, while the western countries have their own way of dealing with it,there they try n segregate and mark out a strong line betweeen the built form and the open spaces and the fusion of two is not very pronounced. So does this concept of vegitecture depends completely on the geographical conditions of the site or there is more which we can respond to ? kushal. I think there are definitely some cultural issues at play within the idea of veg.itecture and it's more wide-spanning acceptance. To me there are three ideas (which you allude to in your comments). The first, as you mentioned, is the cultural concept of nature, where eastern countries have a much more vibrant history of contextual design and landscape integration than the west. Second, there's the question of space for experimentation. Non-US Western countries seem to have more opportunity to experiment with these forms that the more development-conservative US... meaning that the locus of activity in the area has been very slow to creep into usage in America - and similar to the idea of green roofs - we slowly adopt these models once they've been vetted by other groups. Third, this involves a paradigm shift in design process and approach. The silo-driven separate disciplines working apart is an antiquated model that won't work with this new paradigm. The concept of ecology, systems thinking kicks in - where no one action can be taken with a ripple effect through the very fabric of the design... meaning we must collaborate and communicate, blurring lines of demarcation - in order for this new idea to take root. So geographically there would be varying opportunities - but that's only one part of a very complex solution.